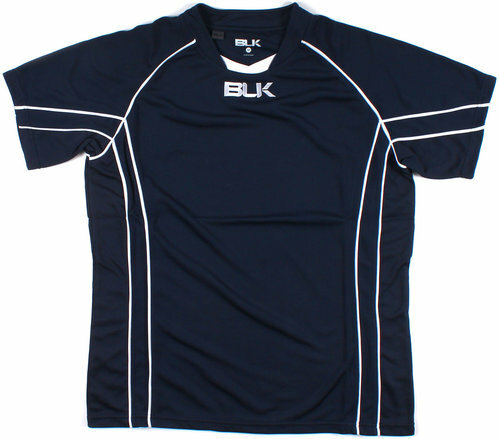 Made by BLK, from 100% polyester, this Icon S/S Rugby Shirt is a casual offering designed to be sported on the rugby field. A robust design features mesh material down the sides for added ventilation, meaning you can train in comfort and keep your cool. No fancy features, just a simple piece of clothing to pull on for active wear. With a plain navy tone applied to this rugby shirt, white piping runs down the body and arms whilst the BLK logo is stitched directly beneath the collar.